Malaysian authorities released a new account on Tuesday of the last known words from the cockpit of missing Malaysia Airlines Flight 370. The chilling final words — "Good night Malaysian three seven zero" — are the latest new information in the search for the jetliner that disappeared more than three weeks ago. The message differs from what authorities initially described when the Malaysian government said the last words were: "All right, good night." Officials provided the full transcript between the plane and air traffic control in Kuala Lumpur, but did not account for the discrepancy between the update in the exchange and the information previously reported. Investigators are still trying to determine whether it was pilot Zaharie Ahmad Shah or co-pilot Fariq Abdul Hamid who uttered the final words. At the start of the search, it was believed it came from Hamid. “There is no indication of anything abnormal in the transcript,” Hishammuddin Hussein, Malaysia's Minister of Defense and Acting Minister of Transport said in Tuesday's statement. The change in quotes comes as officials receive criticism for their handling of the investigation, with families of passengers continuing to demand answers and evidence. Hussein explained the transcript was initially withheld as part of police investigation, and that a closed-door briefing for families will be held Wednesday in Kuala Lumpur. Tuesday marked the 24th day in the search for the missing Boeing 777 that carried 239 people on board. So far, no concrete proof has turned up in the vast hunt of the Indian Ocean. It's been a case full of false leads: recently, potential debris recovered turned out to be remains from a ship, and orange objects spotted were fishing equipment. 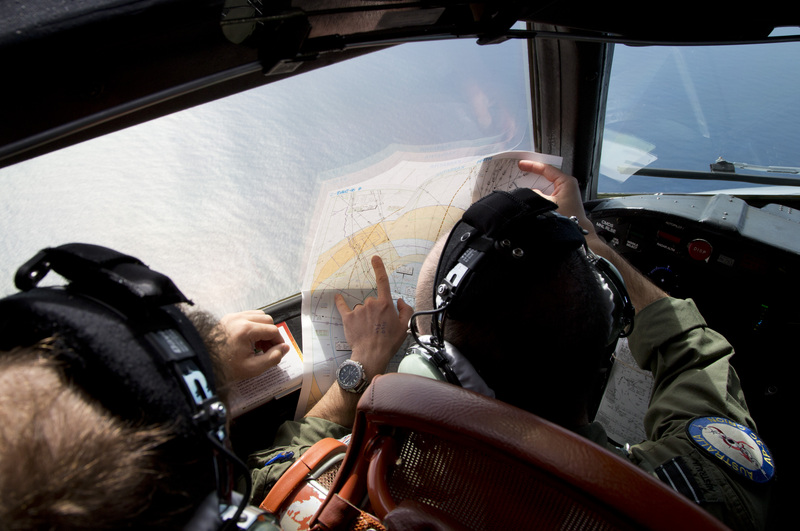 Australian officials, who are coordinating the search for MH370, warned the investigation "could drag on for a long time," according to the Washington Post. Eleven planes and nine ships continued the process on Tuesday, west of Perth, Australia.